Want to be trading 24 hours a day, 365 days a year? No problem. You have designed your website, added your products to your online shop and are raring to go! 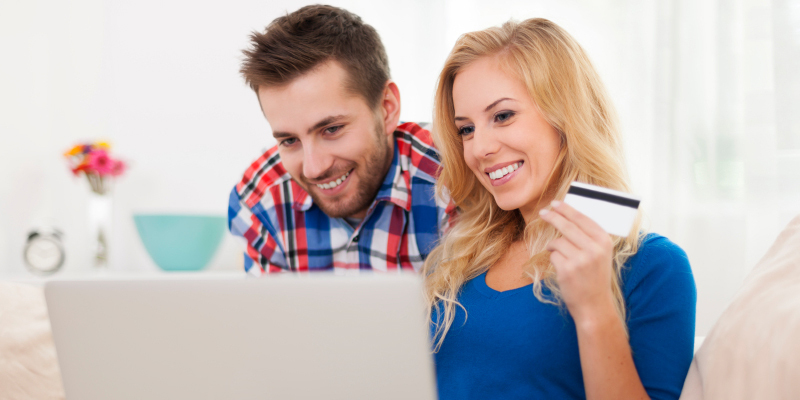 If you’re opening an ecommerce store you’ll want to ensure you can receive online payments. Read on to find out how you can accept card payments through your website. How do I accept card payments on my website? Your Create Ecommerce Store can be integrated with a number of different services which enable you to accept credit and debit card payments - these facilities are usually referred to as a ‘payment gateway’. A payment gateway is an ecommerce application that authorises card payments for online retailers - it is the equivalent of a physical point of sale terminal located in most retail outlets. The payment gateway offers a fast, secure and reliable online payment processing service to allow your business to accept credit and debit card payments easily. One of the major benefits of using a payment gateway is the reduced shopping cart abandonment rate that occurs. It gives customers more confidence as they can pay with a greater variety of payments types (such as debit card, credit card and/or PayPal) and shows that the online shop they are using is a reputable and trustworthy one as it is associated with, and using, a recognised card processing provider, which fills the customers with more confidence to proceed with their purchase. How do I know what Payment Gateway is right for me and my Business? We recommend providing your customers with the option to make a purchase with their bank card alongside popular online payment methods like PayPal. Choosing a provider can be difficult and sometimes overwhelming – but we’re here to help, and their advisors are on hand to talk you through the process. Using a trusted service provider not only reassures your customers but allows you to have peace of mind regarding your transactions. This is a competitive market so don’t be afraid to shop around. All providers will have differing transaction percentages, general charges and processes. Often there will be deals on pay as you go or monthly options, so it is always good to read up on the options available to you before selecting your gateway(s). You can take a look at all the gateways available within the Create platform on our Payment Gateway Partners page. Depending on your Create account type, you are able to add multiple gateways to your website, maximising your sale potential. See our package comparison page for details on account features. How does accepting card payments work? When a customer places an order they will be taken to your shop checkout where they will have an option to select a payment gateway to complete their order and pay online. At the time of purchase, the customer will be taken to your secure gateway provider and asked to fill in their payment information. Once the payment has been successfully made the funds will be in your gateway account for you to process. First up is adding a gateway! Adding one to your Create account is quick and simple. Once you have signed up to a service provider, simply follow the steps in our HelpCentre guide “How to add a payment gateway to your account”, and you can begin accepting payments. And, If you want to, you can cancel at any time. How do I decide on a Payment Gateway provider? Finding the right service to accept cards can be a bit of a minefield but once you have decided on the provider(s) for you, it's quick and easy to sign up! Read all about Create Payments in our HelpCentre or simply use our online forms to make your enquiry about services like Barclaycard and they’ll get in touch with more information. With lots of options, it’s good to make sure you are selecting the right provider for your business and shop. If you would like any advice on choosing a gateway provider please comment below or contact your Account Manager at any time. How much does it cost to use Create Payments?